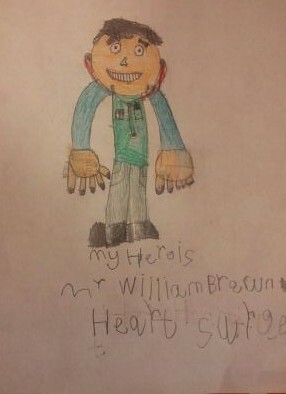 Danny’s Hero is Mr William Brawn, CBE, a leading Heart Surgeon. 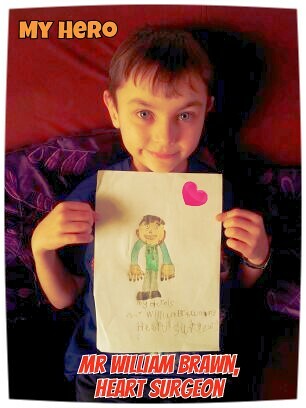 He invented the Sano-Brawn procedure and has operated on Danny three times. Because he has saved my life and lots of other babies and children. He is a nice, kind man who works very hard. He helps Little Hearts Matter who help me. He is very clever. I would like to say thank you, Mr Brawn.